Ever hear the expression, “there are many ways to skin a cat?” Of course you have! Well, this expression can apply to construction as there are many ways to build a project to accomplish the same objective–to deliver a completed project. The various ways projects are delivered are oftentimes referred to as construction project delivery methods. Such delivery methods can be the traditional method of design-bid-build to the much more sophisticated and collaborative delivery mthod of integrated project delivery (“IPD”) to the method aimed at delivering needed public projects (such as infrastructure) known as the public private partnership (“P3”). 5) public private partnership (“P3”). 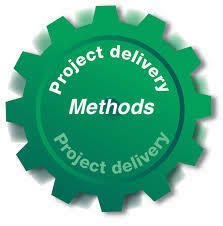 Check out the presentation to get a general understanding of the highlights of each of these project delivery methods. This entry was posted in Contract Drafting, design-build and tagged construction manager at risk, construction project delivery, design-bid-build, design-build, integrated project delivery, IPD, P3, project delivery method, public private partnership by David Adelstein. Bookmark the permalink.